“Japanese American WWII Incarceration: Two Documentaries with Film Director Janice Tanaka” will be presented by the Shinso Ito Center for Japanese Religions and Culture on Monday, April 23, from 2 to 4 p.m. at the Rosen Family Screening Room (Room 227), Ronald Tutor Campus Center, on USC’s University Park Campus. Janice Tanaka brings 30 years of filmmaking experience in the Asian American community as a producer, director, TV executive and tenured professor. She both graduated from and taught at USC’s prestigious School of Cinematic Arts. In addition to USC, she also was a professor at Indiana University and Purdue University and was tenured at the University of Florida. She then became manager of diversity development at Fox, helping employ writers, actors and directors of color. Simultaneously, she served as executive producer for a variety of news, reality and animated TV shows locally for International Channel and nationally for Comcast’s AZNTV. Tanaka is currently producing “By George,” a deeply personal story about a bakery and its founder, George Izumi, who epitomized Japanese American resiliency during the harsh post-war resettlement years; and “Setsuko,” a biography of activist and scholar, Setsuko Matsunaga, whose seminal thesis explored the unique wartime Japanese American experience in Chicago. Tanaka continues to be involved with broadcast TV as a script evaluator for ABC’s New Talent Development Program. She produces videos for the Japanese American National Museum, Advancing Justice-LA and the USC Asian Pacific Alumni Association. • “Ohakamairi: A Visit to the Graves.” Created in 1976 as an undergraduate cinema student at USC, this documents the early years of the annual pilgrimage by Rev. Sentoku Maeda, a Buddhist minister who was incarcerated at the Manzanar concentration camp during World War II. Maeda describes the harsh conditions and the early struggles with camp administrators to conduct Buddhist services in Japanese. Because he made a promise to visit the graves of those who died after the war was over, he traveled from Los Angeles with his family to honor their memory for nearly 30 years. As the Sansei began to explore the history of their parents’ incarceration, they joined him and began what is today known as the Manzanar Pilgrimage. • “Act of Faith: The Rev. 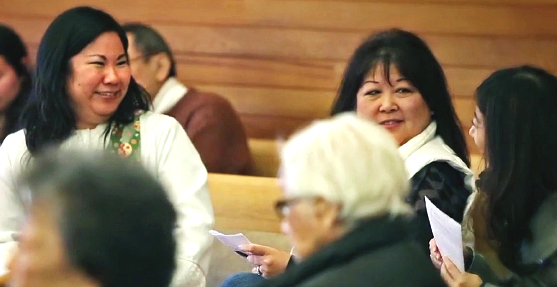 Emery Andrews Story.” A pastor at Seattle’s Japanese Baptist Church, Rev. 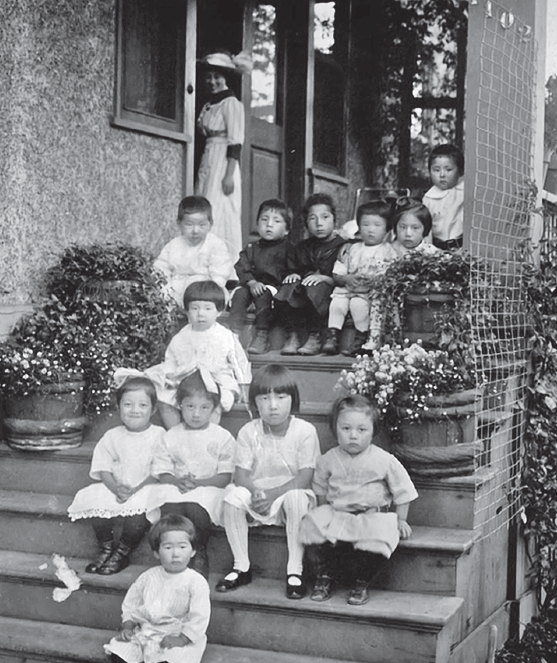 Emery Andrews devoted his entire life to serving Japanese communities in the Pacific Northwest. Fondly known as “Andy,” he never stopped ministering his congregation, even after they were forcibly removed and wrongly imprisoned at the Minidoka concentration camp following the attack on Pearl Harbor. Drawing from never-before-seen letters, emotional interviews, and a rare life history audio recording by Rev. Andy, Tanaka goes behind the pulpit and beyond the cloth to present a deeply moving and ultimately inspiring story of an unsung hero whose selfless service came at a costly personal price.